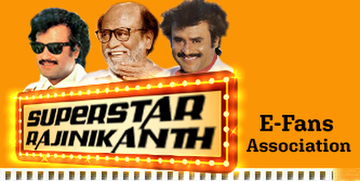 "SUPER STAR" RAJINI KANTH in and as "BADSHAA". NAGMA, RAHUVARAN, VIJAYA KUMAR, YUVARANI, JANAKARAJ stars in a All time hit movie of Last Century "BADSHAA". Music by 'Then Isai Thendral' Deva and the movie Directed by Suresh Krishna. Dear friends its for you and Enjoy my review on Super Star Rajinikanth's all time hit movie "Badshaa". Entertainment is what we look for when we go to movies. No one likes to cry or feel sad after watching a movie. One can guarantee that "IF you watch Rajini's Picture" you will get the full satisfaction of watching a movie. Super Star "Rajinikanth" so called as "Thalivar" by his die hard fans is one of the most Prominent Actor in the history of Indian Cinema. His movies are fun to watch, Entertaining, Enjoyable, Humorous and what not. "BADSHAA" was one of his all time best movie which broke all the records created by his movies. I still remember the day I went to "BADSHAA" in ALBERT theatre in Madras on the release day how people reacted to see "THALIVAR" in action throwing "MALAI and lighting Candles and Breaking "SURA THENGAI " for our Thalivar. Its one man show, He is the leader and he is the Star that's 'SUPER STAR" RAJINI. Enjoy SUPER STAR's SUPER HIT Movie Review on "BADSHAA". The story starts with a marriage scene in which a marriage gets stopped because of 'Dowry'. There comes Janakaraj with money and says 'MANIKAM' gave this money. An operation gets stopped because of the money they need to pay to the doctor. There comes Janagaraj with money and says 'MANIKAM' gave this money. Everyone will be wondering who is that Manikamm and there comes our "SUPER STAR" RAJINIKANTH with his All time hit song "Auto Karan Auto Karan Nalum therinja Route Karan". RAJINI runs his life working as an auto driver who is the head of his family. He runs a peaceful life and he takes care of two Non blood sisters and a brother. The initial scene in this movie was well taken with the regular 'RAJINI's acting and comedy. NAGMA gets introduced as a Rich girl who gets ride from RAJINI and slowly falls in LOVE after seeing RAJINI's smile and innocent acting and good nature. The love scene between RAJINI and NAGMA were so nice and one can laugh like mad. Especially when RAJINI talks his English with Nagma. like" WHAT YA", "WHEN YA", "YES YA", "NO YA", " YA YA", "TOO GOOD YA", "TOO BAD YA" Yamma I can take any more laugh. Rajini's brother gets employed as DGP, One sister gets married and another one gets a Medical college seat. "INDA BADSHAA ORU DADAVA SONNA NOORU DADAVAI SONNA MADIRI" with a Sound coming from his fingers. The movie ends as RAHUVARAN escapes from Jail to kill Rajini and at last our RAJINI wins the war with a happy song ends the movie. Rajini came out with his all time best performance in this movie. Right from the first scene till the last scene he was NO.1 in this movie. His dual role in this movie was praised by each and every Tamil movie lover in this world. He was absolutely Superb in his Auto Driver character as well as his Don Character. Especially that "MEDICAL COLLEGE SEAT Scene" for his sister was simply the best scene I have ever seen in any Movie so far. Rajini was so cool the way he expressed his Previous DADA life to that college principal who demeans YUVARANI to come to his guest house to get a medical college seat. One must see the applause for that scene in theatres. To me RAJINI is the best entertainer we have seen so far. His mixture of Characters in 'Azagu Azagu' song and his Stylish dance in that 'Style Style' Song are simply a feast for any human in this world. Nagama came out big in this movie and was a Fashion girl at that time. Tamil fans want to see a female that has everything 'ALL IN ONE FIGURE' and she was the right choice at that time as the previous ALL IN ONE FIGURE Kushboo was out of shape when this movie was made. She was fortunate to act in this master piece and she did a good job. "RAHUVARAN" as usual was good and was class in his acting and so was JANAKARAJ. The only person who can be over projected and still will have that same soft corner from the public is SUPERSTAR "RAJINIKANTH". I bet no other actor in the field of Indian Cinema can be over projected. You can name a few people who are in the hearts of public. AMITAB, MGR, RAJINI KANTH and only a few will come under the list. These days there are few actors like SARATH who wants to become like RAJINI and who cannot. Rajini has his own style. Either it may be "PARATTAI" Character in 16 Vayadinele or his innocent character in "BHUVANA ORU KELVI KURI" till today's ANNAMALAI, BADSHAA and PADAYAPPA his movies stand apart and is praised by thousands of people around the world. I still remember the day when we went to "ARUNACHALAM" in CHICAGO where his fans all over USA came to watch his movie. I was talking to few of them in the theatre and they said that the drove for 300, 400 miles. I bet its worth it man. You can drive even 3000 Miles to watch a Rajini movie on the first day. The way he puts himself saying that "I am not a big Guy" and at the same time projecting him as a big guy. That's what people like about him. He never says that he his a big guy that too with his childish laugh and crazy actions. RAJINI is NO.1 and he is the star. Its really unfortunate that we are not able to see his movies quite often and we don't know what is his plans for this "WONDERFUL TAMIL MOVIE INDUSTRY" !!! WE WANT RAJINI TO COME FORWARD AND GIVE THE TRUE ENTERTAINMENT !!! WE WANT RAJINI BACK IN ACTION!!!! WE DONT WANT OUR THALIVAR TO GET INTO ANY SORTS OF THING WHICH IN NOT RELATED TO ENTERTAINMENT!! Before Concluding Guys Say !! Thaliva Vazga !! Anbu Thalivar Vazga !!! My Only request to RAJINI is Entertainment is one good thing everyone love to have. You are the best ENTERTAINER in this world and I don't find any reason why you are silent. We are longing to see your movie. Time to Grade BADSHAA !! No questions it gets 100/100 for its excellent entertainment !! !